Bookish Styl Guide is a feature where I share Pinterst boards with clothes and accesories inspired by the style of the main character in a book. The boards will be full of things that I think the character would wear. 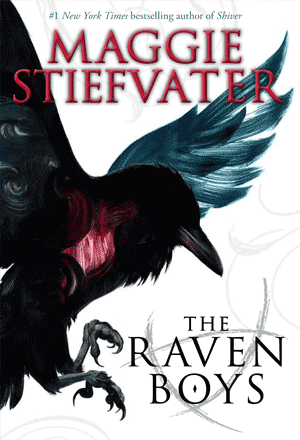 This time the character I chose was Blue Sargent from The Raven Cycle series by Maggie Stiefvater. “She wore a dress Ronan thought looked like a lampshade. Whatever sort of lamp it belonged on, Gansey clearly wished he had one.” – The Dream Thives (The Raven Cycle #2). This quote was the inspiration for this style guide. I feel like Blue’s style would be funky and kinf of unique. *If you go to Pinterest and you click on the pictures, most of them will take you to the websites where you can buy the clothes. It is freezing in the churchyard, even before the dead arrive. Every year, Blue Sargent stands next to her clairvoyant mother as the soon-to-be dead walk past. Blue herself never sees them—not until this year, when a boy emerges from the dark and speaks directly to her.His name is Gansey, and Blue soon discovers that he is a rich student at Aglionby, the local private school. Blue has a policy of staying away from Aglionby boys. Known as Raven Boys, they can only mean trouble.